This week it’s a tricky task to differentiate between new, old and trending. One thing we can agree on is it’s certainly all happen’n. A tiny Italian village was transformed into a real world internet, VR is infiltrating agencies, the keyboard is updated with tech-language, the San Francisco Giants bring fans closer and we take a look at the top VR influencers and brands. That Friday summer feeling has finally arrived. It’s time to go patio hunting – after you get intoxicated on this week’s edition of the Weekly Wins of course. PSFK featured a fascinating street art project that points out our crazy ‘real’ world. It is the brainchild of Biancoshock and he named it Web 0.0. Its purpose is to demonstrate our modern reliance on technology through the lens of Civitacampomarano, Italy. It’s an interesting perspective, labeling the tiny town with digital logos we’ve adopted as an almost language. Check it out. Onalytica have released a great article sharing the top 100 influencers and brands in VR this year. The VR craze has made its way into education, health, entertainment, sports, science, telecommunications, military and film and according to this article the revenues from VR products and software are expected to spike from just $90 million to 2014 to $5.2 billion in 2018. It might be time for the fence-sitters to join the virtual reality. If I haven’t been clear on the extent of digital infiltration – here is the perfect example. 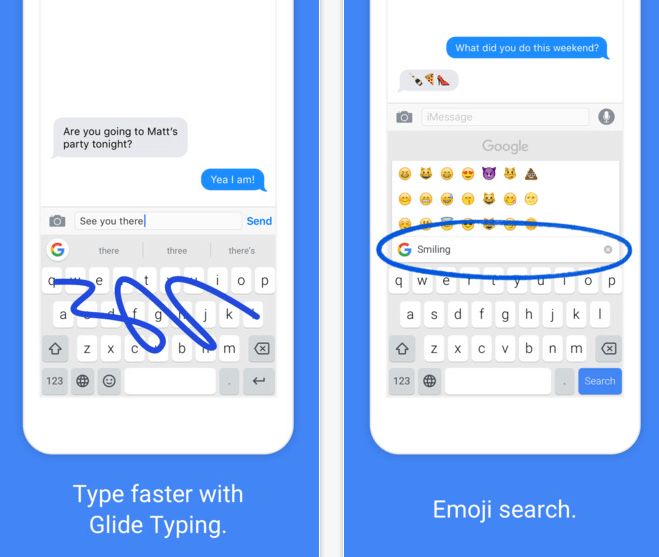 The Gboard is a new keyboard for mobiles. The alphabet is being forgotten and is being rapidly replaced by emojis and gifs. Just think next year you’ll be reading this via a selection of little faces. The Gboard is built for the iPhone and allows you to avoid app switching and to just send your communication gem. Check out it – it’s both impressive and unnerving. We’ve all seen the recent influx of VR brand activity. Some great, others a little disappointing, regardless there is sort-of kudos to the ones exploring the future of storytelling. Unfortunately the story often falls victim when experimenting with a new platform. According to a Digiday article, brands are bypassing their agencies and going directly to the production companies to make the virtual magic happen. As a result agencies are addressing their teams and making room for this new world. Let’s hope this means the story get’s priority. 5. Be Jack to the Giants – without the beanstalk. The San Francisco Giants want fans to be a greater part of the experience, to do this they have embraced virtual reality. They aren’t the first to embrace the new technology. The NBA, NFL, and NHL have all made their entrance into the entertainment fanfare that’s virtual reality. It makes sense, what more could fans ask for than experiencing the up-close action. The team plan to partner with Jaunt on the production. Besides the obvious danger pay for the crew.